7 For All Mankind - Summer Sale continues! Abercrombie & Fitch - One week only, 8/10-8/16, all Jeans on sale $39. $15 & up Tees & Tanks. Alice + Olivia - The Summer collection is on Sale. American Eagle - All AE Jeans under $30. For a limited time, online only take an additional 40% off Clearance. Ann Taylor - The Dress Event: 30% off all full-price Dresses. anthropologie - 25% off full-price Bedding. Arden B. - BOGO 50% off all Jeans & Tops. Extra 50% off Last Chance Clearance. Armani Exchange - New styles added to Sale. Asos - The Heat is on, 48 hours only, 30% off Flashdance styles: peplums, playsuits, sequins & more! Ends 1AM PST 8/11. Athleta - Semi-Annual Sale: up to 60% off, continues. Bare Necessities - Back to School Rally Sale: BOGO 75% off Bras, 25% off Sleepwear & More. Up to 50% off Swimwear. Barney's New York - The Warehouse Sale is online now! BCBG MaxAzria - Limited Time Offer: Free 3-day shipping on $150+ orders. Up to 60% off Summer Sale. BCBGeneration - 30% off select Active Wear styles. Bluefly.com -Site Sale: 25% off your order today (8/10). C & C California - Friends & Family Sale: Take 35% off your order with Code: CCFANDF35 Buy 1 full-length legging, Get 1 solid shirred tank FREE through August 31st. Calvin Klein - Final Sale: Up to 80% off & up to 30% off Fall Preview. Calypso St. Barth - Additional 30% off Sale. Diesel - Spring/Summer 2012 Sale: Now up to 50% off. Free shipping on all orders for a limited time. D&G - Up to 40% off the Spring/Summer Collection. Endless.com - Up to 40% off Sandal styles for the entire family. Express - Now through Sunday: $25 off $50 or $50 off $125 with Code: 1700 or Coupon. BOGO 50% off every single item! Forever 21 - Free shipping on $25+ orders through Sunday. Free People -New items added to sale & new markdowns. French Connection - Sale Dresses from $31 & up. Guess - Sale items are an additional 25% off for a limited time. 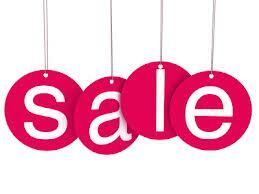 Hanky Panky - Tons of sale items! Intermix - Take an additional 40% off all Sale for savings up to 80% off. J.Crew -30% off all Dresses in the Factory Sale. Juicy Couture - Additional 40% off Summer Sale through August 13th! Free shipping & returns on regular-priced Denim and 20% off full-price Handbags. Lacoste - Semi-Annual Sale end soon, up to 50% off, now in stores & online. Last Call by Neiman Marcus - Extra 25% off all Women's apparel including clearance through August 13th. Loeffler Randall - New styles added to Spring Sale: up to 30% off. Lucky Brand - $20 off when you buy 2 Men's Graphic Tees. Extra 25% off select Sale styles. lululemon - New additions to "We Made Too Much" Final Sale. Macy's - Extra 15% off & free shipping with Code: SUPER Extra 25% off online Clearance. Madewell - 20% off orders of $150 & free shipping on all orders through August 13th. Nine West - New Sandals added to Sale: $29 & up. Original Penguin - 30% off Polos, Tees, Shorts & Swim with Code: OPGSELECT30 through August 13th. Take an additional 40% off Sale with Code: OPGSALE40. Rachel Rachel Roy - Up to 50% off Jewelry. Rugby Ralph Lauren - Summer Sale, up to 50% off.Take an additional 25% off for a limited time. Saks Off 5th - The Big Sale through August 14th: Extra 50% off Clearance and extra 25-40% off the rest of the store. Solstice Sunglasses - Up to 60% off Summer Sale styles. Steve Madden - 30% off select new Fall styles for a limited time. Tory Burch - 40% off Wear-Now Summer Styles. ULTA - $3.50 off a $10 purchase with Code: 75096 or Coupon through August 25th. Via Spiga - End of Season Sale: up to 60% off. Wet Seal - Take an additional 30% off your entire purchase online & in stores. yoox - Summer Sale Event: Up to 75% off thousands of items.